Kristian Prinsloo is still connected to a ventilator in the hospital's intensive care unit after the lion grabbed him by the throat. An 11-year-old boy is fighting for his life in the Muelmed Mediclinic Hospital in Pretoria after a ‘tame’ lion attacked him in Lephalale, Limpopo. 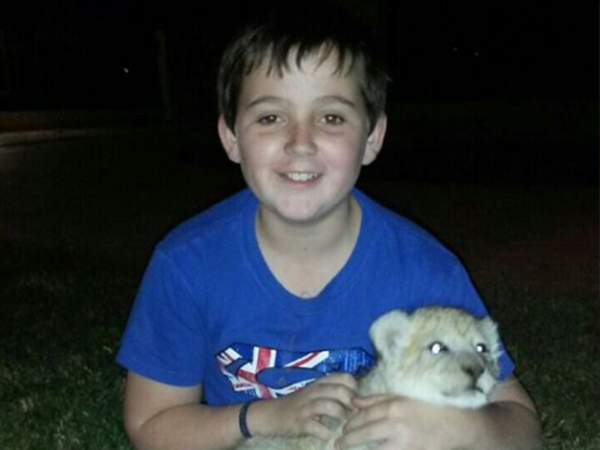 According to Netwerk24, Kristian and his grandmother were at a family friend’s farm when the lion bit him. The owner says the lion regularly interacts with people. Kristian has swelling on the brain and two of his vertebrae are cracked, says Sanet. A Facebook group has been launched in support of Kristian, and the group is regularly updated on his condition. Nico Strydom, Kristian’s uncle, says they are waiting on doctors to tell them whether there has been any progress. He says Kristian’s parents, Adri and Herman, are still too traumatised to speak about the incident. In the meantime, messages of hope have been pouring in from friends and family on Facebook. “We are praying every day that Kristian will make a speedy recovery! Strength to Adri and Herman and the rest of the family,” wrote Sandra van der Walt, from Britain.